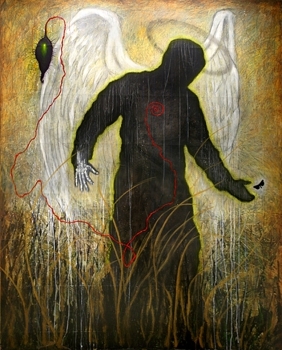 Sergio Gomez was born in Puebla, Mexico in 1971. At the age of sixteen, he and his family moved from Mexico City to the Chicago area where he has lived for over 15 years. 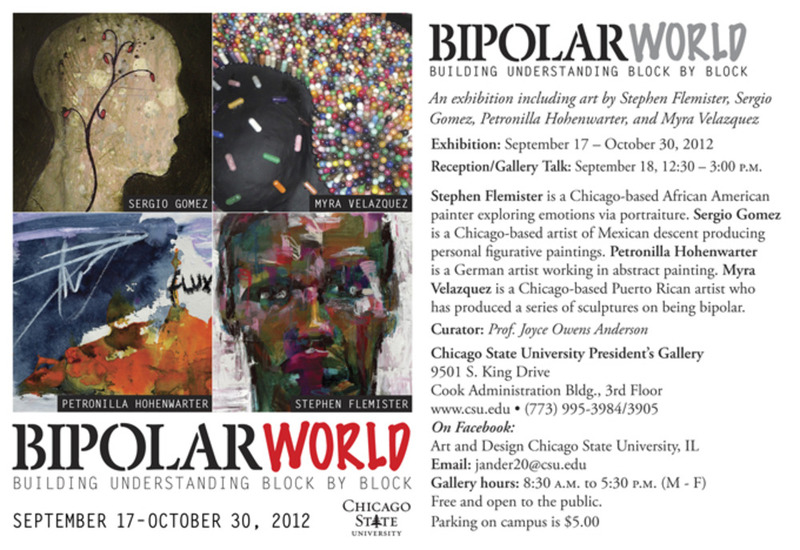 Sergio Gomez attended Joliet Junior College, The School of the Art Institute of Chicago, Governors State University and Northern Illinois University where he received a Master of Fine Arts Degree. In 1995, while at Governors State University, Sergio received the Lincoln Laureate Medallion Award given by the Lincoln Academy and former Governor of Illinois, Mr. Jim Edgar. The art of Sergio Gomez has been included in numerous solo and group exhibitions in venues such as, The National Museum of Mexican Art, Brauer Museum of Art, Museum of Science and Industry, Northern Indiana Arts Association, Fassbender Gallery, Aldo Castillo Gallery, Arte de Mexico Gallery, 33 Collective Gallery, Quincy Art Center, Beverly Art Center, Billy Graham Center Museum, Aurora Public Art Commission, and many colleges and universities. 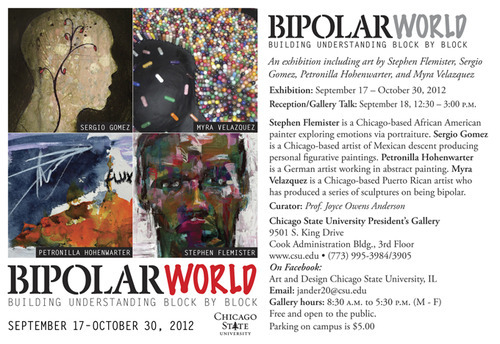 Sergio Gomez is a full time art faculty member at South Suburban College. 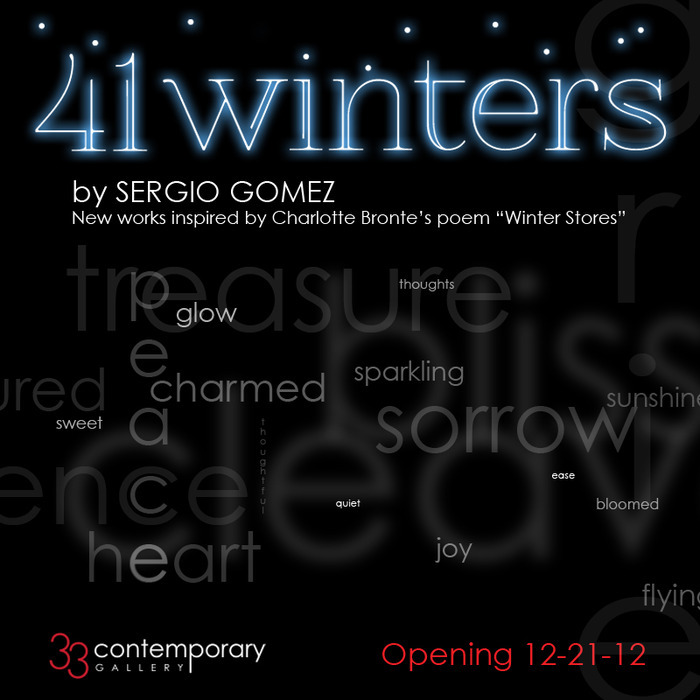 In 2004, Sergio is Director and co-founded of 33 Collective Gallery in Chicago’s Bridgeport neighborhood. 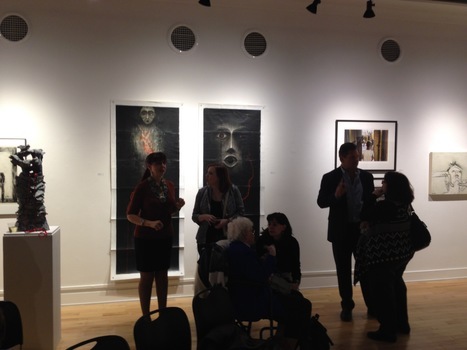 33 Collective Gallery represents emerging and established Chicago artists while presenting exhibition opportunities to artists from the United States and abroad. In January 2009, Sergio founded VisualArtToday.com; a curated online exhibition space for international contemporary art. 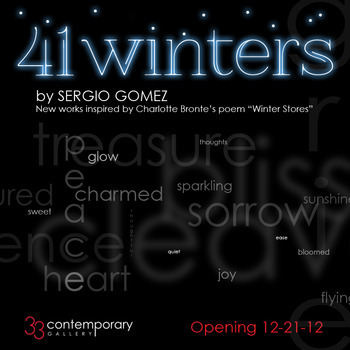 In addition, Sergio is an accomplished graphic designer, web designer, illustrator and independent curator at theZhou B. Art Center in Chicago. Debra Livingston and Liza Berggren + more.